The opposition People’s Progressive Party (PPP) on Friday questioned the logic behind why government has cut the Guyana Elections Commission (GECOM) budget by GY$800 million when Local Government Elections (LGE) are due in 2018, but Finance Minister Winston Jordan said there is a lot of leftover supplies. GECOM’s budget for next year has has been slashed from GY$3.7 billion to GY$2.9 billion, raising concerns by PPP Chief Whip, Gail Teixeira about whether there is sufficient monies to conduct registration, biometric processing, preparation of preliminary and final voters lists, and the printing of several ballot papers for LGE 2018. “I am telling you, Sir, this is serious business …. The Elections Commission is the life of this country,” she said as House Speaker, Dr. Barton Scotland asked her to take her seat. Teixeira observed that this year’s budget was already less than what was provided to GECOM in 2016 when the last LGE was held. LGE is scheduled to be held on December 7, 2018. 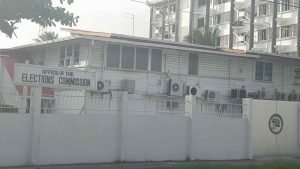 Finance Minister, Winston Jordan declined to provide further explanations beyond saying that the Commission has left over materials. “You will recall that we have had back-to-back elections hosted by GECOM in 2015 and in 2016 when LGE we held after two decades. In those back to back elections, the GECOM would have acquired significant hard and software for which you don’t have to duplicate in the 2018 elections,” he said. He said GECOM felt reasonably confident that this lump-sum, along with some donor support, could be used to finance LGE in 2018. PPP parliamentarians, Priya Manickchand queried why the reduction given the fact that the Commission had not met because there was no Chairman, but now there are expected to be meetings. Her colleague opposition parliamentarian, Neend ‘Neil’ Kumar questioned whether the cut was due to the absence of a procurement plan for that elections management authority.